Greater Haverhill's Premier Agency. Save up to money and time on your auto, home, commercial, life, financial advisor, financial planning & estate planning throughout Massachusetts and New Hampshire! Give us 10 Minutes & see the difference! Refer US to your family or friends! Access to OVER 40 Insurance Companies! Client Testimonials! 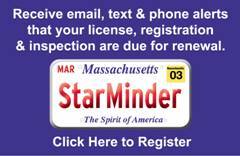 SPECIAL NOTICE - NO license renewal notice! Haiti quake reminder for U.S. risk – most NOT covered! RMV CUT BACKS EFFECT EVERYONE! Why Choose Sullivan Insurance & Financial as your agent? Excellent insurance protection comes from fully understanding the risks or hazards you face, as well as the protection choices available to you, your family or business. Sullivan Insurance & Financial of Haverhill and Bradford Massachusetts has been assisting clients throughout New England manage and shield against those risks and hazards for over 25 years. Our 42 point checklist identifies risks/hazards, potential missed coverage issues and ALL insurance discounts available to ensure our insurance quotes are the lowest available, especially since auto insurance coverage and rates have drastically changed in Massachusetts and New Hampshire! Please browse our site to learn more about our diverse products & services, or contact us NOW to find out how we can help you expand your possibilities with a secure promise for tomorrow! Sullivan Insurance & Financial is committed to being the premier independent insurance agency in Greater Haverhill and New England area (offering insurance products throughout Massachusetts, New Hampshire, and Maine) providing our customers with the very best insurance values and unsurpassed customer service. As an independent agency, we offer choices of many different insurance plans and specialty programs with access to over 42 Insurance Companies - a full-service insurance resource for a broad range of Personal (Auto and Home Insurance, and other!) Commercial (General Liability, Commercial Auto, Worker's Compensation, much more! ), and Financial & Life products (including Life Insurance, Financial Planning, Estate Planning, and much more!). Please DO NOT leave our site with unanswered questions - contact the agency! The only "bad" questions are those never asked - Make an Informed Decision!